The PokerStars High Rollers series wrapped up on December 4 completing a comprehensive 22-event schedule with over $10,000,000 in guarantees. If participation is an indicator of success, the High Rollers Series certainly proved there was ample space in the marketplace for such an event as 20 of the 22 events had no problem generating prize pools greater than their guarantees. As expected, the action was more than enough to bring out some of the best and brightest stars in the game to compete creating a number of highlights throughout the week. In the Main Event, Event #19 ($2,100 No Limit Hold’em, $2M Gtd) after navigating a field of 1,135 entrants, a four-way deal was struck giving Finland’s ‘Sanderssi’ first place and the lion share of the $2,270,00 prize pool with a $294,685 payday. For Germany’s ‘jutrack’, the third bullet was a charm as his runner-up finish brought in $226,162 while both‘Maz&Yauskas’ from the UK and Canada’s ’MATT HOLVIK’ were also guaranteed no less than a quarter million in the deal. 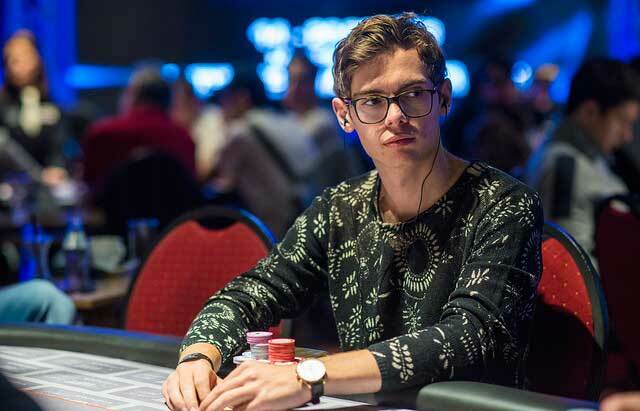 Fortune smiled on the series early when one of the biggest names in the game, and the current undisputed “King Of The High Rollers”, Fedor ‘CrownUpGuy’ Holz not only found his way into the event, despite his hectic travel schedule, but managed to do what he always seems to do – score another six-figure victory. Event #1 ($2100 No Limit Hold’em) was one of the two events to miss its guarantee, coming up roughly $116,000 short, but it could be argued that the media attention of having Holz score a victory right off the bat brought a much-needed reminder to the community and energized the series. Holz walked with $178,498 for first while Argentinian runner-up ‘88maca88’ was compensated with $134,058. As we’ve mentioned, it’s going to be hard for the rest of the world to catch the current reigningPocketFives.com Worldwide #1-ranked player, Sweden’s‘C Darwin2’ when he continues to post results like he did in the Event #3 ($1,050 No Limit Hold’em Turbo Progressive KO) of the High Rollers. The Progressive Knockouts have been a popular tournament for PokerStars and this event proved it by more than doubling the $250,000 guarantee. ‘C Darwin2’ not only won the tournament outright for the $45,290 first place prize but racked up a significant number of bounties, including his own by winning, and dragged another $42,929 in bounties on top. The next closest bounty hunter was Finland’s ‘€urop€an’ who collected $23,218 while finishing in fourth place and after him, there wasn’t another five-figure bounty hunter in the field. UK player ’T-Macha’ may go on to be considered high roller royalty after his double-victory performance this week. He first found the winner’s circle in one of the largest Progressive Knockout tournaments of the year in Event #11 ($10,300 No Limit Hold’em Progressive KO). The aggressive $1 million guarantee was shattered by $300,000 as 130 runners went for the kill in this two-day event. ’T-Macha’ not only won $142,470 for first but exceeded that total by collecting an additional $170,781 in bounties, including his own. Finishing this tournament was the aforementioned ‘€urop€an’ who, again, collected the second most bounties adding $69,062 to his second place prize of $110,281. Three days later ’T-Macha’ would again be victorious. This time in Event #15 ($5,200 No Limit Hold’em) where he would defeat Canada’s #2-ranked superstar Chris ‘Apotheosis’ Kruk heads-up for another $156,377. Kruk, on his third entry, would take home $121,341 for second place. ‘MITS 304’, from Cyprus, accomplished two titles in two different disciplines. First, he chopped up Event #8 ($2,100 8-Max No Limit Hold’em) for $82,615 with the Netherlands’ ‘Elmagico19A1’and the Worldwide #15-ranked Conor ‘1_conor_b_1’ Beresford. Then ‘MITS 304′ played some four card poker and won Event #20 ($2,100 6-Max Pot Limit Hold’em) outright, adding another $85,020 to his bankroll.